This is our Sulphate Free version of our award winning Gro-Aut (grow out) Hair Oil – This patented formula promotes hair growth by penetrating the hair shafts driving herbal nutrients into the hair follicles. 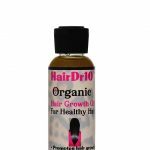 Customer reviews reveal that gro-aut oil “Fills bald patches, reverses hair loss, or simply grows the long hair you have always desired”. 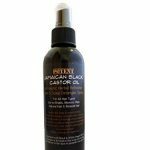 With use of this herbal oil and our Gro-Aut shampoo, hair appears to ‘grow out’ overnight!